New Nickelodeon hotel promises family fun - and delivers! Visitors to Nickelodeon Family Suites enjoy the pool and the water slide in Orlando, Fla., June 16, 2005. 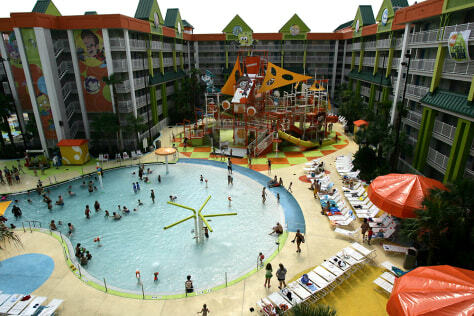 The resort features two mini-water parks, the cable TV network's characters interacting with the guests and family fun.